The perfect checklist for staying on task. 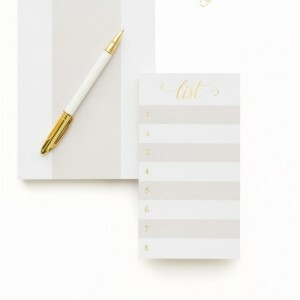 Printed with gold foil on pale grey and white paper. 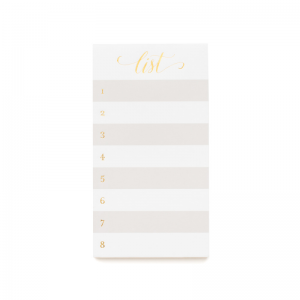 50 sheets per pad, 4″ x 7″.